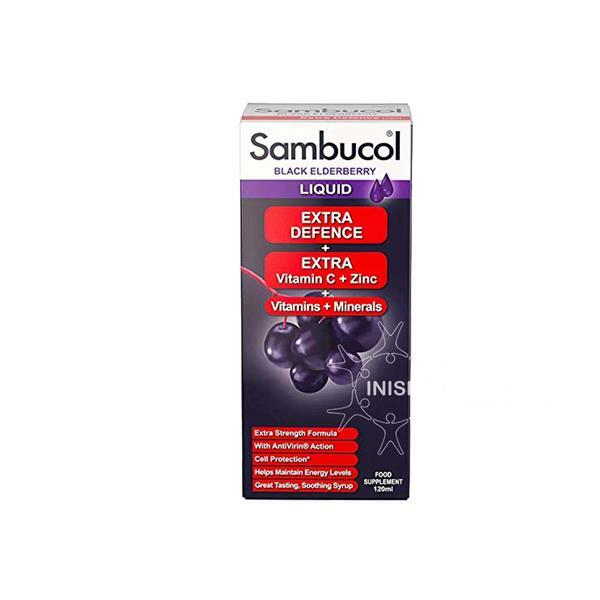 Sambucol Extra Defence Black Elderberry Liquid helps to support the immune system, helps to maintain energy levels and provides support for cell protection. This extra strength formula which contains extra vitamin C and zinc provides support for symptoms of tiredness and fatigue. The great tasting berry flavour formula does not contain any artificial colours, flavours, sweeteners or gluten and can be used by adults over 12 years old.